A 3-month part replacement warranty applies unless otherwise noted on your invoice. All claims for warranty must be made within this time. 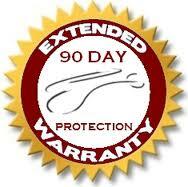 Any claim made after the expiration of the warranty will not be considered. The defective part must be returned to H&W Auto for replacement. A Life-time part replacement warranty is available for an additional fee and will be noted as such on your invoice. Defective driveline components must be made available for inspection by H&W or a representative of H&W while still installed in the vehicle for the purpose of analysis before warranty coverage will be considered. New fluids, filters, seals, and gaskets must be used in the installation of the driveline component. All lubricants and fluids used must be of the type recommended by the manufacturer. Receipts for installation items must accompany the claim for warranty. Parts and Labor warranties are available for additional cost and will be indicated on your invoice. H&W reserves the right to provide warranty repair at a facility of its choice. Unless otherwise noted on your invoice all Sheetmetal and body parts carry a life-time corrosion or manufacture defect replacement warranty. The defective part must be returned to H&W for replacement. The purchaser's loss of time, inconvenience, Loss of use of the vehicle, towing expense, installation expense, commercial loss, rental cars, or other consequential damages. On driveline components fluids, gaskets, seals, filters, intake manifolds, exhaust manifolds, clutches, water pumps, wiring, thermostats, sensors, hoses, belts, frost plugs, spark plugs, and injectors are not guaranteed. Parts installed in vehicles used for commercial, racing, or off-road purposes, or parts used for any purpose other that the original application.